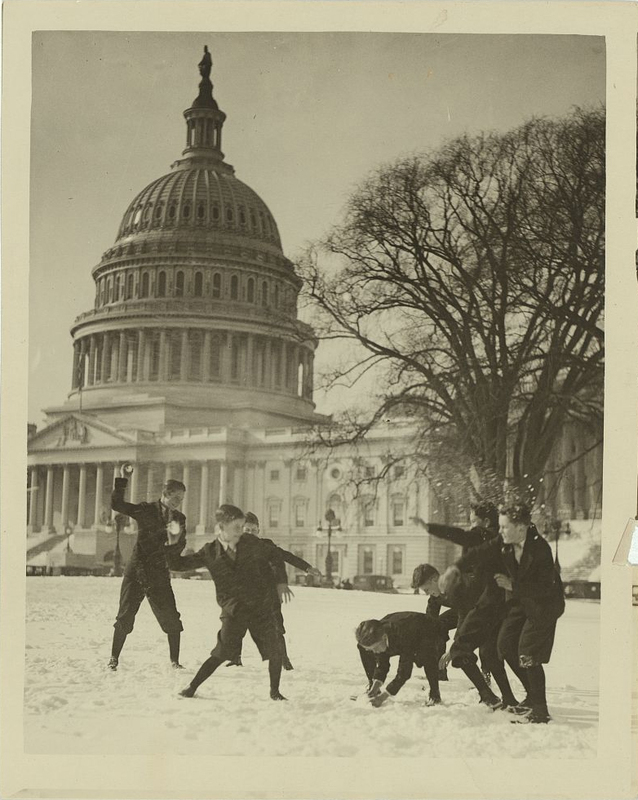 “Senate page boys stage their first snow battle on the Capitol plaza.” Between 1909 and 1932. National Photo Company Collection. Summary: Seven boys in snowball battle in front of U.S. Capitol.